NEW DELHI: In a sharp attack on Congress, Union minister Arun Jaitley on Monday suggested that former Prime Minister Indira Gandhi may have been inspired by German dictator Adolf Hitler in suspending democracy in 1975 by imposing Emergency on a manufactured pretext. In a blog to mark the 43rd anniversary of Emergency, Jaitley said there were striking parallels + between the way Indira suspended fundamental rights and persecuted political opponents and the manner in which Hitler installed himself as the sole ruler in Germany. “Both Hitler and Mrs Gandhi never abrogated the Constitution. They used a republican Constitution to transform democracy into dictatorship,” he wrote. “Arun Jaitley writes about the dark days of the Emergency, the trampling of personal liberties, excesses committed and how the Emergency was a direct attack on our constitutional ideals. Do read his blogs,” PM Modi tweeted. Jaitley recalled that Hitler had engineered an attack on the German Parliament House to get the president to give him emergency powers for the “protection of the people in the state”. He said Indira, faced with growing political challenges, took a similar route to seek to snuff out political resistance. “Hitler continued to maintain that his actions were within the four corners of the Constitution. Mrs Gandhi imposed Emergency under Article 352, suspended fundamental rights under Article 359 and claimed that disorder was planned by the opposition in the country. The security forces were being asked to disobey illegal orders and, therefore, in the larger interest of the nation, India had to become a disciplined democracy,” Jaitley wrote. “A Nazi leader proclaimed ‘there is in Germany today only one authority and that is the authority of Fuehrer’. 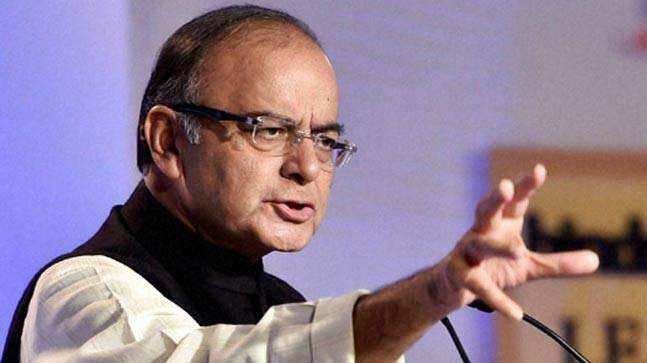 AICC president Devakanta Barua proclaimed ‘Indira is India and India is Indira’,” Jaitley said. BJP has chosen to spotlight Emergency excesses, with party chief Amit Shah condemning the attack on democracy. UP assembly speaker Hriday Narain Dixit said the Emergency had crippled all civil rights of citizens and sent all opposition leaders and workers to jail to muzzle their voice. Congress hit back at BJP and said the “issue-less” government was raking up the Emergency 43 years after it was imposed and forgot to tell people that Indira had later revoked Emergency and conducted elections. Note: This News was completely carried over from TimesofIndia Online Newsportal and NewstodayBuzz is not responsible for any information in this post.